Tonight Lucasfilm & Disney gave us the full length trailer for The Last Jedi. What follows are my thoughts on the trailer, the story as it seems to pan out based on what is revealed and general thoughts on the progress of the new Star Wars Trilogy. The new trailer opens up with Kylo Ren standing at a window overseeing either the construction of First Order units, or First Order forces preparing for a battle. Based on what we see later in the trailer (and have already seen in the teaser) it’s most likely the latter as it appears AT-ATs are being loaded in to some sort of container – most likely for deployment on the planet’s surface. We also see what look like AT-STs. 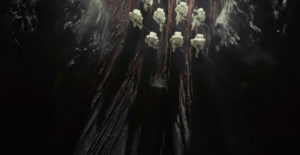 Whether these Scout Walkers and AT-ATs are the same as what the Imperials used has yet to be determined, but with the destruction of Starkiller Base in Episode 7 it’s highly likely that they have found some old Imperial facility loaded with gear. It’s also possible that the AT-M6 Gorilla Walkers we’ve seen are not First Order made as much as they were the next evolution by the Empire of the AT-AT. That’s purely my speculation, but it would make sense. 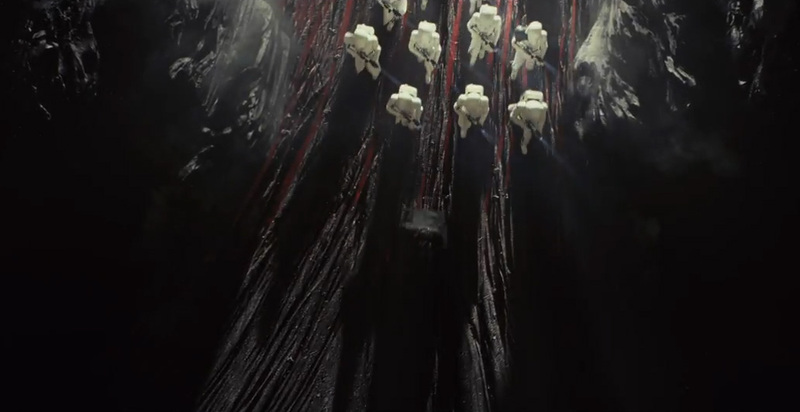 This is also supported by one of the next scenes we see as Kylo leads a squad of troopers in to what appears to be a lava cave. Could this be Mustafar, former home of Darth Vader? We don’t know, but it’s fun to speculate. Perhaps Kylo searched out Vader’s old lair and that’s where he discovered these lost Imperial war machines. Next we see Kylo wearing his face mask and picking up his lightsaber. This then segues in to our first images of Rey and Luke. It’s obvious that Rey will be training with Luke’s old lightsaber (technically Anakin’s original lightsaber), which was already established in the teaser trailer as well as the promo poster. We pick-up right where we left off in The Force Awakens with Rey handing Luke the saber. This time however we see his extended reaction which is complete shock. I doubt he ever thought he would see this weapon again. If we assume Luke doesn’t know who Rey is, he has to be confused as how this girl got his lightsaber and how she found him. I’m sure all of this will be revealed in the first few moments of the new film. We continue seeing scenes of Luke training Rey in the ways of the Force as well as a voice over of Rey talking about having something inside of her that’s been there all this time. We also see a scene of Rey discovering some sort of books that may tie-in to Luke’s comments about the Jedi having to end. We saw these books in the teaser trailer already but with this new trailer maybe we get a better idea of how they may fit in to the story. 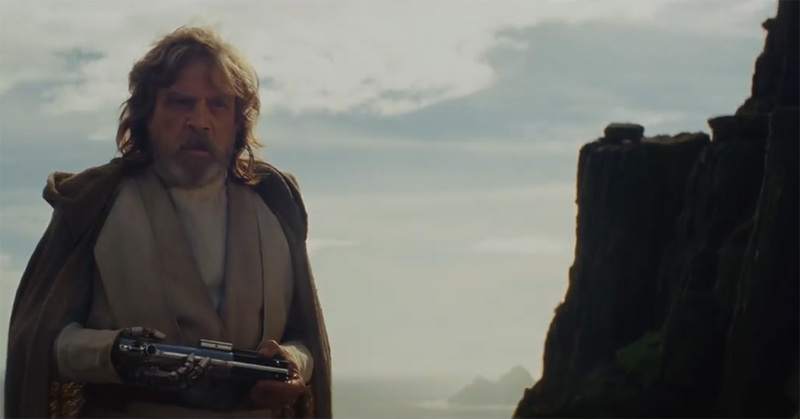 Luke begins to realize how powerful Rey really is and as the trailer continues he mentions seeing this much power before and not being afraid of it then, but being afraid of it now. I think here he’s talking about Ben Solo (Kylo Ren) which lends itself to the theory that Rey and Ben are brother and sister. I think this causes Luke to not want to train Rey as he is probably still afraid of what happened with Ben and doesn’t want to make the same mistake again. 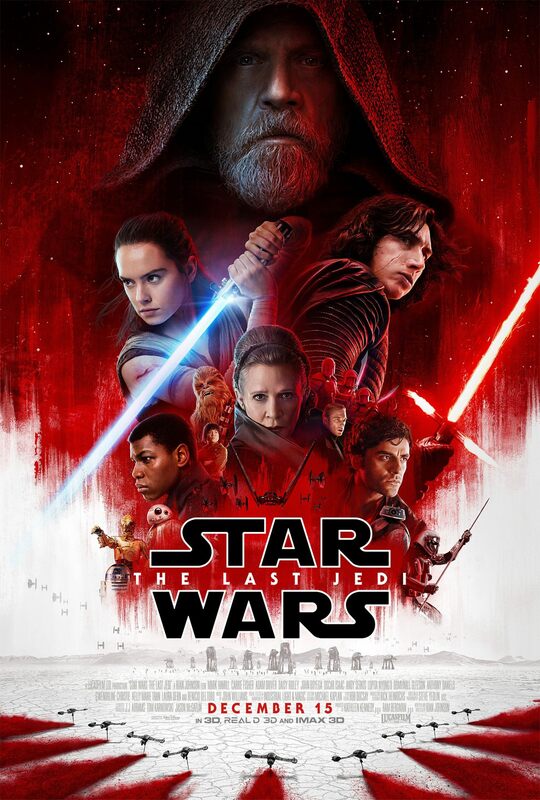 We get more flashbacks it seems in this film as we did in The Force Awakens where Luke appears to survive Kylo’s attack on his Jedi dojo and the events that led to him going in to hiding in the first place. This shot appears to line up with the scene from The Force Awakens where Luke places his hand on R2. 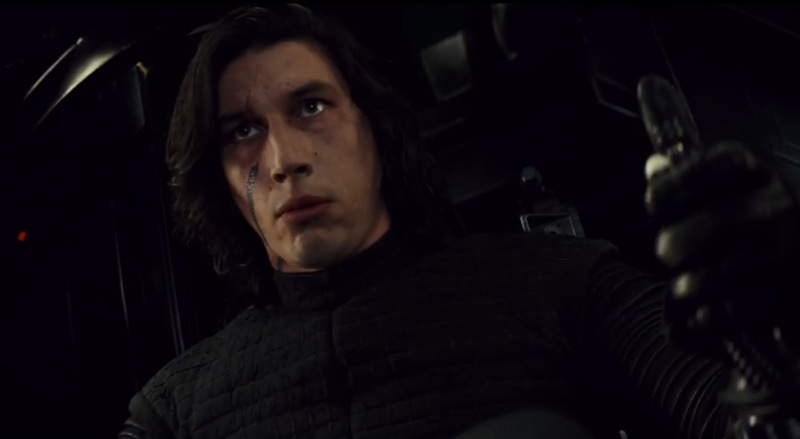 This of course nicely transitions into a shot of Kylo Ren and we start to further explore his journey to the Dark Side with him talking about destroying the past. 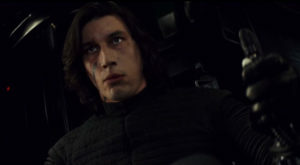 This all lines up with him flying his new TIE Silencer during a giant space battle with the Resistance and cuts back and forth between shots of Kylo’s unmasked face – tormented as he lines up his sights on the bridge of a Resistance frigate – and General Leia Organa, who appears to be commanding the same ship Kylo’s about to fire on. Of course the moment ends on Leia’s concerned face before we know what happens. We’ll have to see if Leia does in fact die in this movie. I’m guessing that she does since after Carrie Fisher’s death Lucasfilm stated that they would not change this film nor use her as a CGI character in the future. That would make sense if she does indeed die in this film. It also makes sense why director Rian Johnson was so adamant about Carrie’s performance in this film and gushing about how amazing it was. It just seems that all signs point to Leia getting killed leaving Chewie and Luke the only surviving characters from the original trilogy – unless they bring back Lando of course. The trailer continues with the Millennium Falcon flying through some sort of crystal cave with TIE Fighters hot on its tail again. We see Chewie in the cockpit and then pan over to his new co-pilot, the Porg. The Porgs have become a love/hate fixture among fans who fall on both sides of the fence – they either love the Porgs or they hate them. Those that hate them have compared them to the Ewoks from Return of the Jedi and some have even called them the new Jar Jar Binks. 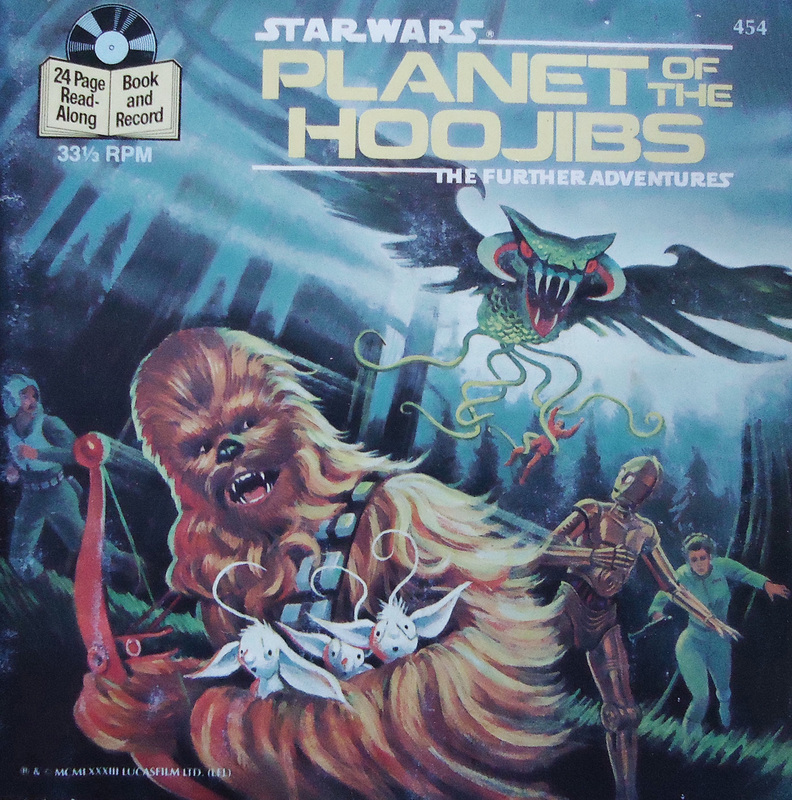 The other side of the coin are fans who think the little furry bird creatures are cute and cuddly and can’t wait to see how they fit in to the Star Wars Universe. 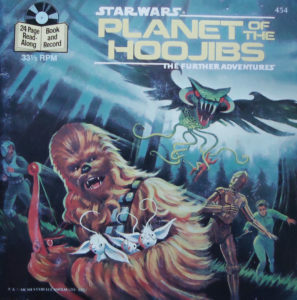 Personally the first time I saw them I thought of the old Star Wars read-a-long story, Planet of the Hoojibs. Love them or hate them, Porgs are here to stay and I’m curious as to the role they’ll play in The Last Jedi. The trailer continues as we get our first glimpses of Poe Dameron and his new X-Wing fighter with Turbo Boost. He talks about the “spark” that will light the fire to burn the First Order to the ground. I’m not sure what he’s referring to, but it may be something we haven’t been privy to yet. Then we see Finn who has obviously survived his wounds and is in an all-out battle with Captain Phasma – who seems to have survived the trash compactor and the destruction of Starkiller Base. BB-8 makes an appearance, then some strange, white fox-like creatures running in to some sort of base on what looks like a Hoth-like ice-world where Leia stands behind an open, giant metal door while we intercut with scenes of Rey diving in to water and Luke proclaiming “This is not going to go the way you think”. This quote could be director Rian Johnson’s way of letting audiences know that things will not go down how they think they will, or it could just be a ruse to make us all think that when in actuality it will all go down as we anticipate. I guess we’ll find out in December. During all of this we also see a shot of the First Order, which is most likely a reverse angle of what Kylo is looking at in the beginning. Here we can clearly see the AT-STs are different looking and the troops are preparing for a battle. As the trailer reaches its climax we hear Snoke talking to who we find out is Rey. He tells her to “fulfill your destiny” as he uses the Force to hurt her. Snoke isn’t a hologram in this film and the image we see is some very good CGI work. We end with a provocative exchange between Rey and Kylo in which Rey is asking him to show her “my place in all this”. We then see Kylo reach out his hand. While this could just be a fake out cut, it does seem that they’re both in the same place. 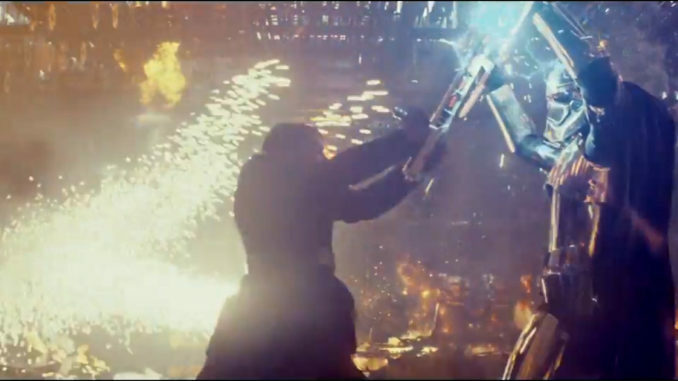 An orange light flickers across Rey’s face while Kylo is somewhere near fire as a similar colored light reflects off of his clothing and face while embers float around him. It’s most likely that these two characters are related in some way (if not siblings) and I’d like to take a guess that in the third film we will see them join forces to overthrow Snoke. The trailer ends and we now wait just over 2 months for The Last Jedi to hit theaters. I have to say this new trailer has got me more excited than I was before to see this movie. What about you? Sound off in the comments. Are We Expecting Too Much From Star Wars?